Send Manager Wilson your photo and a story and it will be published on this page! 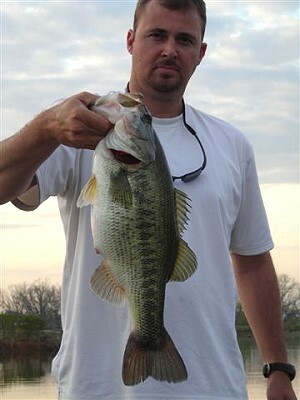 Chris Ryan of Birmingham caught this 12 lb bass from a club lake in March of 2012. 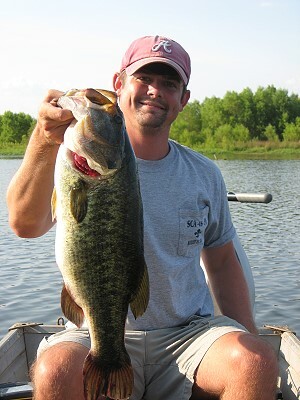 Chris Ryan with another big bass from a club lake, March of 2012. "It is outstanding to see so many mature Golden Shiners in Donavan Lake. 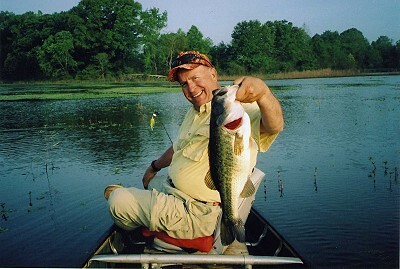 Shiners will produce some truly giant bass," stated Hafner. 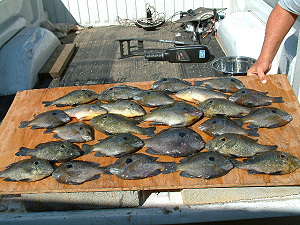 "Donavan Lake's fish population is balanced and healthy. 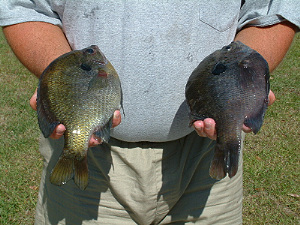 It is good to see all classes of bream and small bass. The presence of Threadfin Shad and Golden Shiners should make for some outstanding fishing. The water is in good shape with a fine alga bloom. This lake is in the top 15% of all lakes that I have tested this year. Good job Manager Wilson," reported Hafner with a smile. 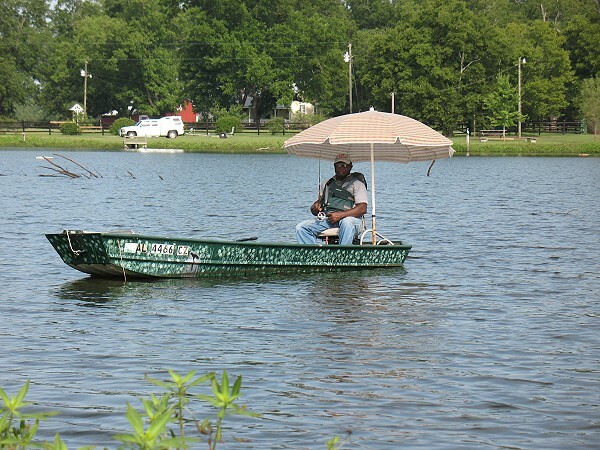 John Heard, Marion, knows how to beat the July heat. 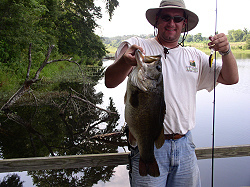 John catches lots of bass with finess baits and a light tackle spinning rod (July 2010). Mike Hoke, Birmingham, joined the Club in January, 08. 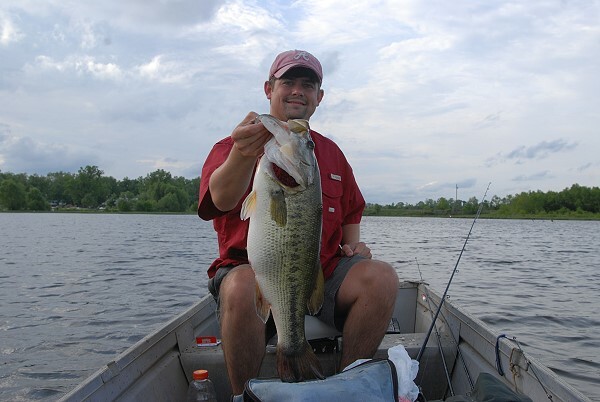 Stephen Russell (below) and girlfriend Liz Lassiter (above and with larger bass) are members since early March, 08, and they really got after the big bass. 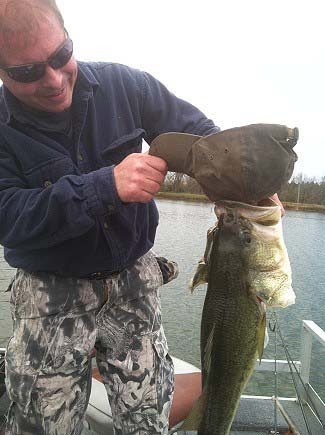 "Just wanted to send you a few pictures of the bass we have caught this March. 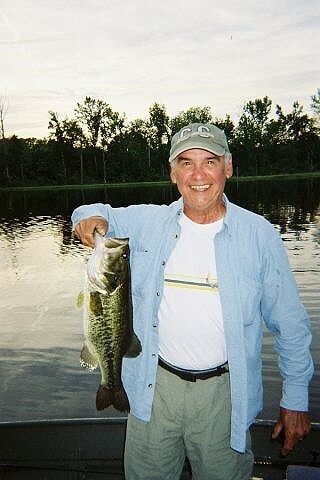 My girlfriend Liz and I have been catching some big bass on the Donavan side. Fishing has been great!" ...Stephen Russell, April 4, 2008. Below and left... 11 lb 7 oz. 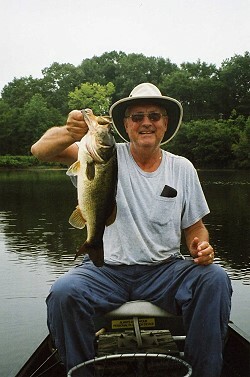 bass caught by Stephen in July, 08. 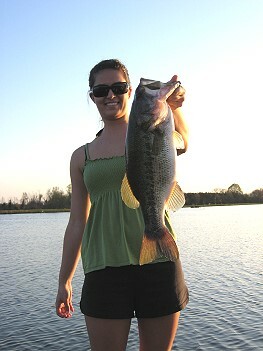 Liz caught the big bass on this August, 2009, day. 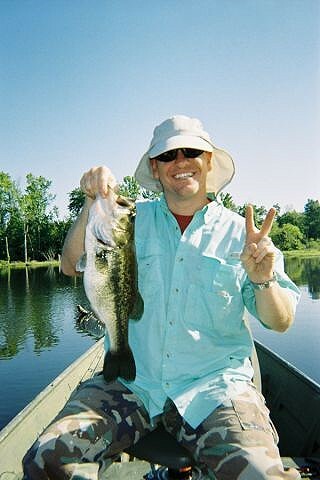 That is still a nice bass that Stephen caught. 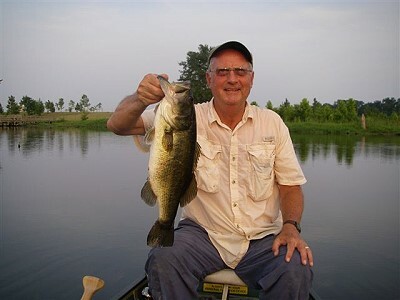 New member, Larry Clark, is fast learning to catch lunkers from Club lakes. Larry had little luck his first few trips but now he is tuned in and look at that smile. This 11 lb. 7 oz. was caught in August, 07. 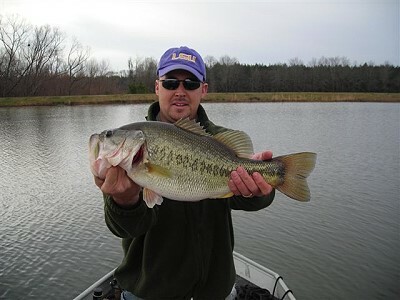 Ray Wilson (brother of Manager Wilson) from Heber Springs, AR., catches a lot of big bass at the Club. 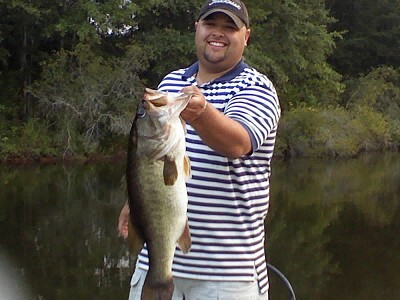 This one hit a buzzbait, July, 07. 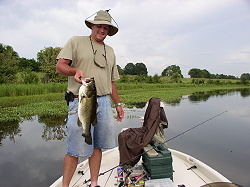 Manager Wilson with another big bass f rom a Club lake, July of 07..
David Potts of Marion is one of the best Club bass fishermen, July of 07. 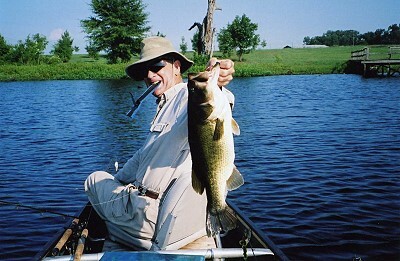 ManagerWilson gets lucky with a Club lunker, July of 07. Manager Wilson (left) and David Potts (above) catch lots of big bass from Club lakes. 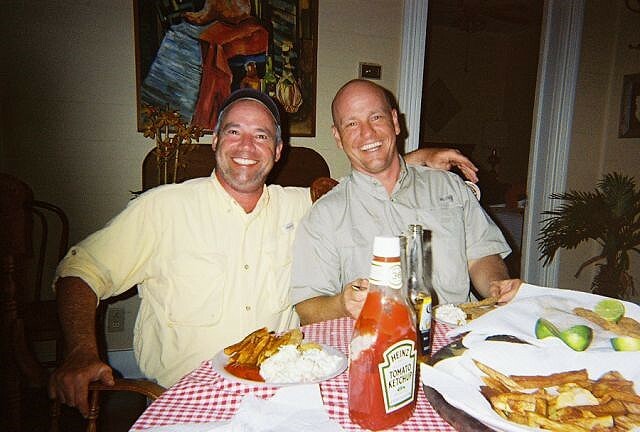 These two fish were caught in the summer of 07. 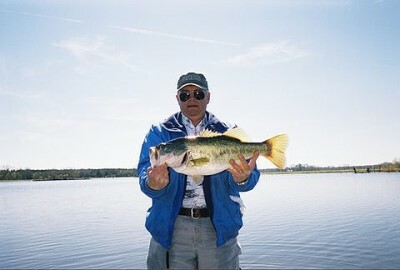 Big bass are caught in every month of the year at the Bar-D lakes. 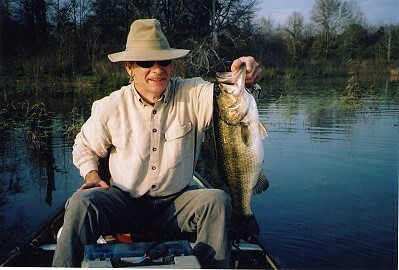 David Carlisle from Bay Minnette usually hooks into at least one big bass per trip. 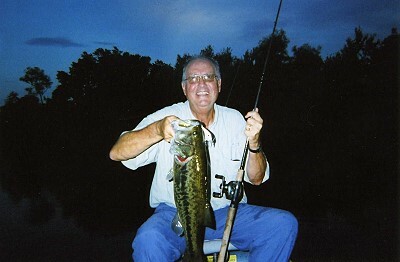 "I hung one bass with eyeballs as big as quaters...could have been 15 pounds. 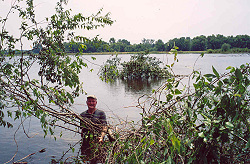 It pulled loose at the boat," reported Dave (Aug. 2003). Click on the right image for an enlarged view. Hold cursor for a few seconds over the enlarged image for scroll bar button to appear...click button for scroll bars. 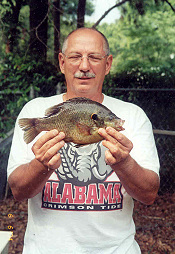 Larry Daw of Satsuma, AL, with a 2 lb 12 oz shellcracker from Donavan Lake, June of 04. 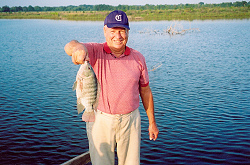 Peppe Daw, Larry's son, got to watch his father catch this monster bream. This is what fishing is all about. 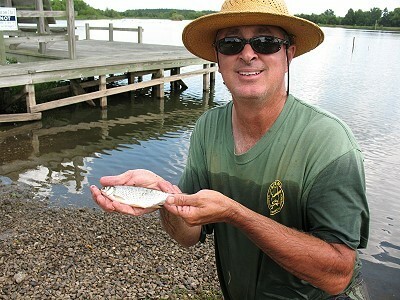 Joe Elliott of Brent caught this nice tilapia on a cricket. 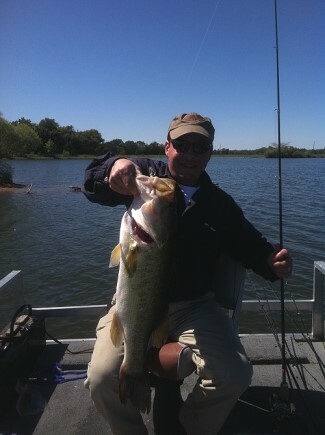 Dr. David Potts, President of Judson College, caught this nice shellcracker on a microlight rod and a Roostertail lure. 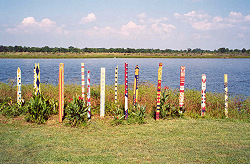 Art sticks created by Judson College students and placed beside Sturdivant Lake. This landscaping art is a product of Manager Wilson's idle time. These sticks have been replaced by a series of newly designed art works (June, 09). Manager Wilson and Jessie Holifield recently placed hardwood trees for structure in Donavan Lake. Let's hope the beaver don't eat the oak and hackberry. 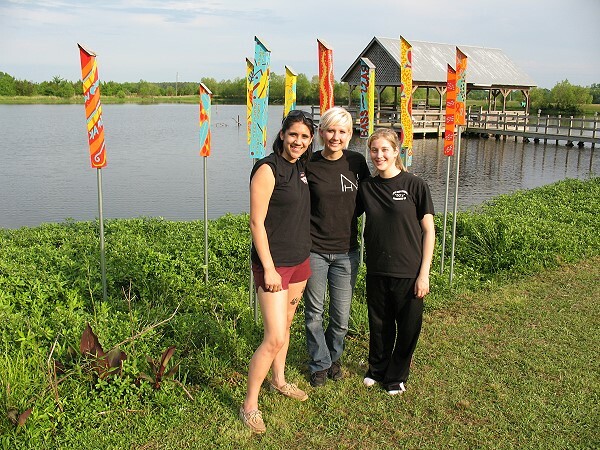 American Sport Fish of Montgomery supplied the F1 hybrid bass, coppernose bream, fathead minnows, and threadfin shad for the Club. Brian Sharp, member since February, 2008. 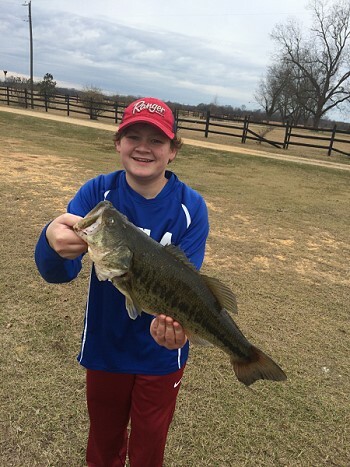 Read his fishing report below this photo. E-mail from Brian Sharp: We had 9 fish this day, biggest was 7.2 pounds, (2) 6 pounders, (5) 5 pounders, and one small fish. (4) caught on worms, (1) on a stick bait, (1) caught on a jig-n-pig, (3) on crank baits all within about 50 feet of each other over a 3 hour period. 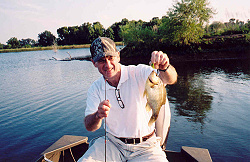 We were the only folks on the lake that day and the bass were feeding on shad like I had never seen in my life. It was a 6 hour feeding frenzy. I bet they bit today with this weather on its way. We had weather coming on that day too. My buddy was wearing the blue jacket it was the first time he has fished in about 15 years, he caught two 5's and a 6 (March day, 2008). 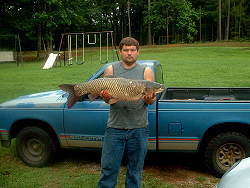 Jessie Holifield caught this 22 lb Grass Carp on Donavan Lake. 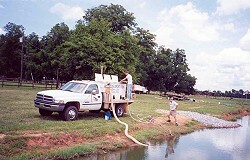 Grass Carp were stocked in all Club lakes to help control weeds. After these fish get over 12 inches long, their gill rakers are too far apart for them to effectively feed on filamentous algae which is the main reason that they are placed in lakes. Large Grass Carp are actually a small problem in fishing lakes and they are very hard to catch for removal. Jessie has permission to bow fish for Grass Carp. Yes, Jessie "caught" this big fish on a fishing bow...what a sight to watch. The Swan men (brothers, uncles, grandpaws, etc. have been guests at the Donavan Inn for three straight years. They value the time they spend together at the Donavan Club. They are good fishermen and a lot of fun to know. 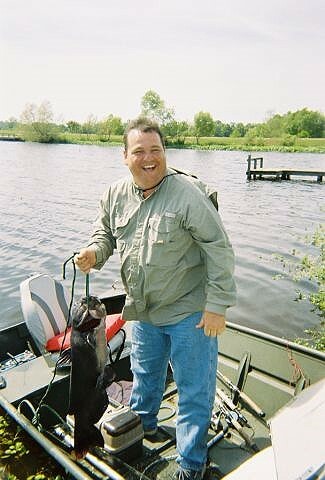 Eddie caught the 17 lb catfish on a crankbait. He thought he had a world record bass for a while. Riddle: How do you turn a catfish into a swan? The answer can be found on one of these photos.